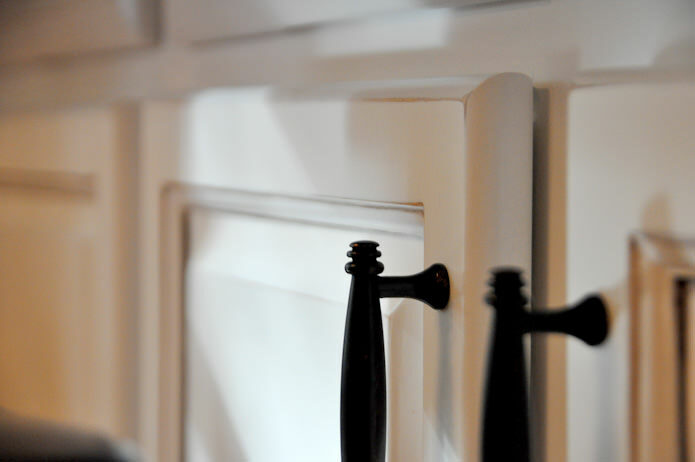 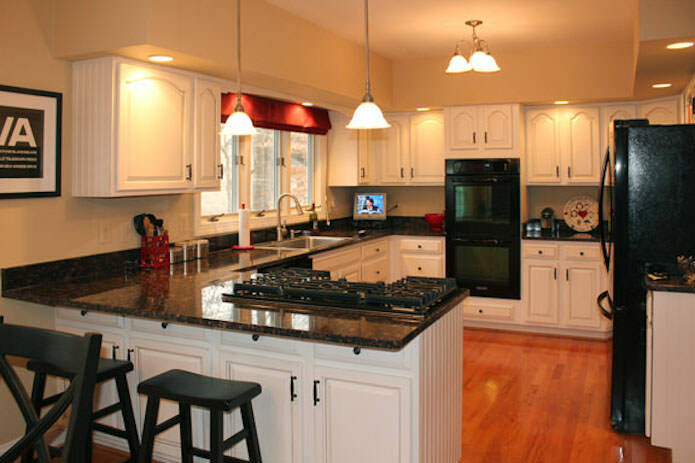 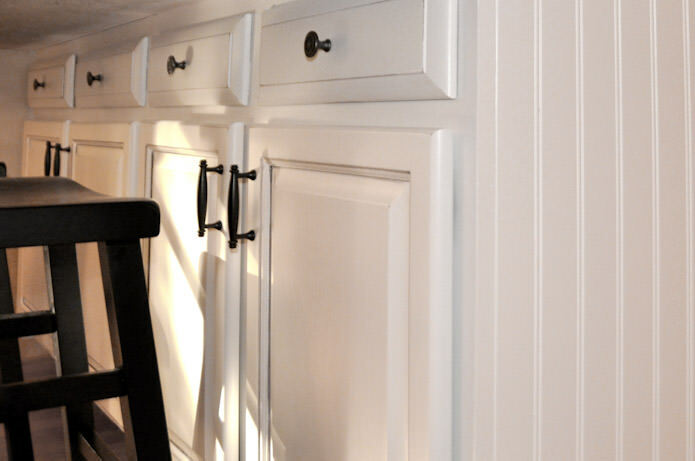 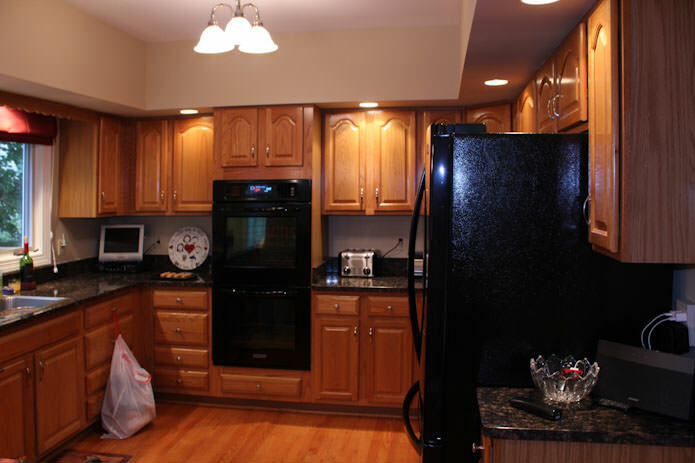 Honey oak stained cabinets were painted a distressed white. 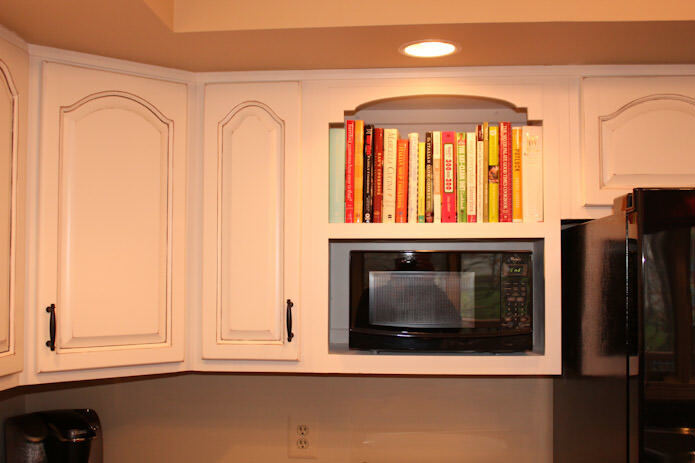 Bead board added to side panels and a double door wall cabinet rebuilt to be open for a micro wave oven and cook books. 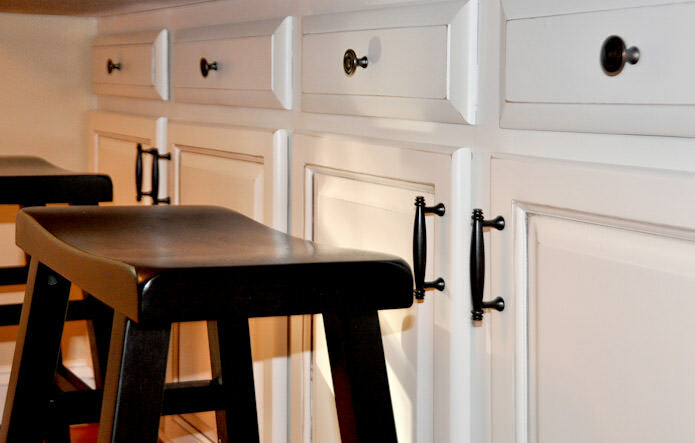 Stools were painted black to match the color of the new handles.